Is 2011 going to be a breakout year for you? Are you ready to take your business to the next level? URG can help! 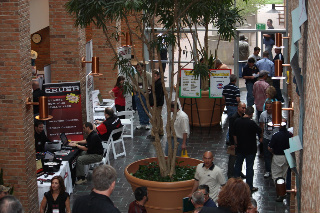 Get your success action plan rolling by making plans to attend the nation's top event for auto recyclers - the 2011 URG & Pinnacle Training Conference, held April 14-17 at the Inverness Hotel in Denver, Colorado. Not a Pinnacle user? Not a problem! You'll find the URG Conference to be an unsurpassed investment in the future success of your business. Owners, managers, sales and other staff - come join us and you will get lots of important information to help you gather new ideas, get training on the latest in new trends and technologies, and enjoy fantastic networking with the key players and leaders in our industry. Choose from among 60 keynote and breakout sessions that will help you make your business more profitable in a weak economy, enhance your competitiveness, and target your sales and marketing efforts more effectively. Over 50 training sessions by peers &professionals! Top hotel, great food and entertainment! We have secured a secondary hotel for the URG & Pinnacle Conference! Click below to see what sessions we're offering! Registration is non-refundable after April 10th, 2011.